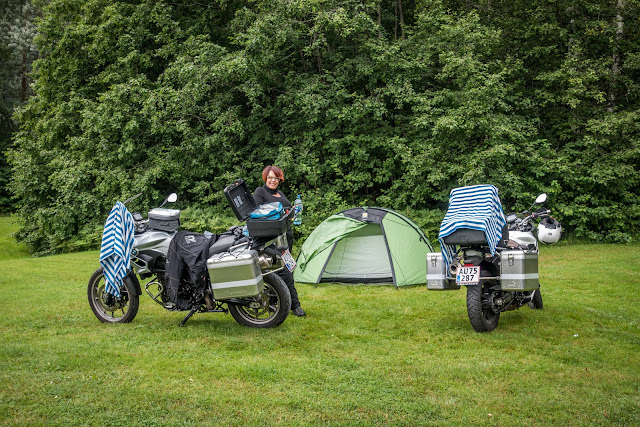 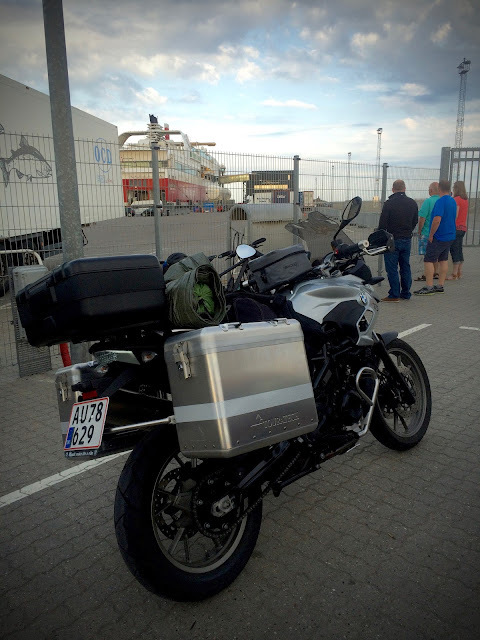 We said our fairwells to Anne at around 6am then rode the hour or so to the ferry terminal at Hirtshals. 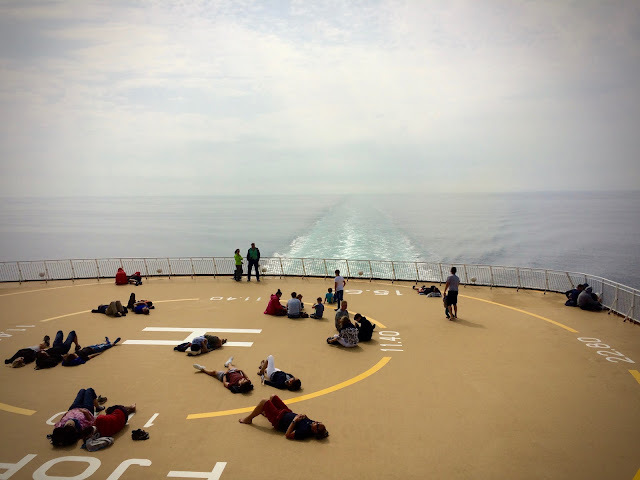 The trip lasted 3.5 hrs so I took this opportunity to catch some ZZZZs on the deck along with hundreds of others sunbathing on the helideck. 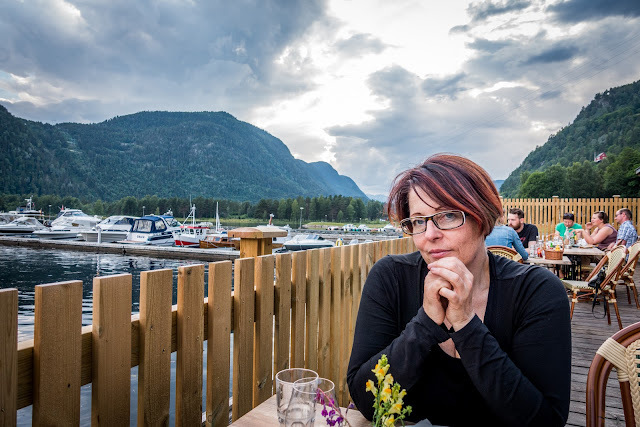 We checked in to a campsite in Dalen, sorted the tent etc and headed to a little cafe on the fjord for a sensational steak and alcohol free beer. NOTE: The Norwiegian blood alcohol limit for driving is ZERO so they have very good alcohol free beers which are also much cheaper the the usual 20AUD for a .5 litre draught beer.